Live interviews with newsmakers. If I had to find a thread that runs through a couple of hundred listener emails, tweets and direct communications with my office in recent months, it would be concerns that stem from the challenges of doing live interviews. Those three- to five-minute conversations (or sometimes grillings) with politicians and policy experts are now a regular staple of Morning Edition and are being heard more frequently on the weekday All Things Considered, as well. Listeners express concerns that each political party, faction or special interest is getting more airtime than others (these numbers vary by the news cycle, by our tally). They dislike it when guests use the live format to push talking points or slip in false or misleading information (an issue I have addressed before). There are complaints about tone: Hosts are too combative with the guests as they seek to correct misinformation and get past talking points, or conversely, are not combative enough. Listeners also complain about political bias: Hosts challenge guests from one party or give a pass to the "opposite" side. A related complaint is that the shows simply air "opposing viewpoints" with no indication as to what might be true. And there is the rising number of complaints when live interviews are abruptly cut off for time, which sounds rude and seems to violate NPR's stated aim to provide a forum for civil discourse. That's just what I hear from listeners, usually in response to something they've just heard and did not like. Often, my office can point them to other perspectives and similarly challenging interviews; after all, the average listener does not hear each newsmagazine in its entirety. But, when I step back for a broader view, I'd argue there's a bigger issue: these interviews too often are dropped into the newsmagazines (the weekday ones, in particular) without context, or any adjacent reported piece that might give listeners the fuller background they need. One critic in the public radio world calls these interviews "news confetti." Because the interviews often air as stand-alone subjects, it also means the hosts who are interviewing guests are sometimes put in the situation of having to work in the broader context themselves. That can sound as though they are taking a particular side as they try (rightly) to push the politicians or other interviewees off their talking points, or as they try to create "balance" by stating the views of the opposite side. These are the cases where the appearance of bias comes in for some listeners. It's unsatisfying radio (and journalism) for a subset of listeners, although I should note here that NPR's newsmagazine audience is overall at a record high. And many of those who dislike the live interviews tell me they feel that the more such interviews NPR does, the closer it creeps to becoming the radio equivalent of a talking-head cable network. Critics also say some of these interviews detract from what made NPR unique over the years, its thoughtful reporting that provides depth, perspective and context. While listeners may get that with an interview of a politician or expert (I liked this one with former Secretary of State Madeleine Albright) too often they say they don't. Coincidentally, just as I was finishing up this column, this email came in from Kate Weber in Medford, Ore., who described herself as a longtime fan. It neatly sums up the disconnect some listeners say they are feeling. She wrote that when she recently began listening more critically, she "noticed that there seem to be far fewer longer in-depth pieces and a lot more hard news interviews. I've jokingly begun calling All Things Considered 'All Trumps Considered.' Obviously there's a lot to cover there, but it feels like the balance is off between the 24-hour news cycle content and the bigger picture information storytelling that I love so much." Some history is in order. 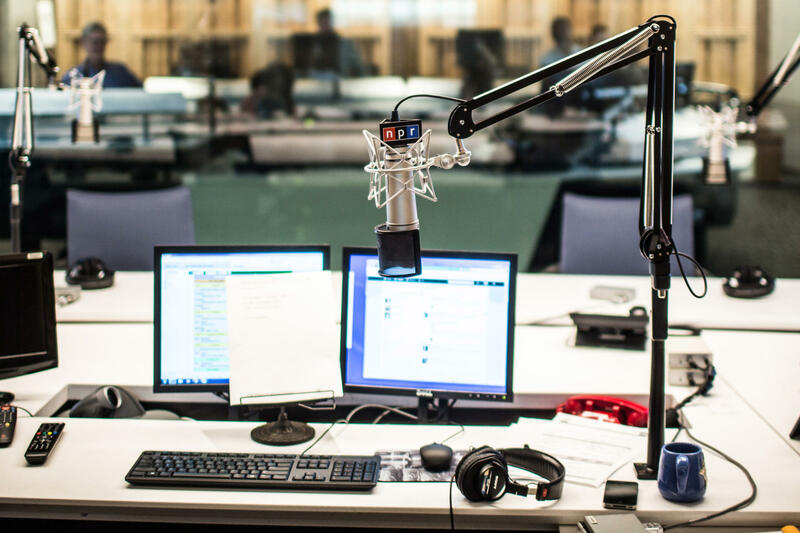 NPR overall has been shifting steadily to more live content in the past several years. Old-timers tell me there's been a cycle at NPR, which had many live interviews years ago and then went through a taped interview phase. In February 2016 NPR started introducing newscasts with the words "live from NPR News," at a time when it had already begun adding more "special coverage," which means live reporting of breaking news. Christopher Turpin, who was then vice president for news programming and operations, told me at the time that the goal was "to reinforce one of terrestrial radio's greatest virtues, which is live-ness and a sense of immediacy." That strategy was extended to the newsmagazines, which have beefed up their live interviews, Morning Edition in particular. Turpin is now NPR's acting senior vice president for news and editorial director. In the intervening two years, he argued to me, the importance of live interviews has only deepened as the news cycle speeds up. He called the current news cycle "manic." If NPR relied on taped interviews, which take time to turn around because they must be edited, "we would be providing a lot of out-of-date and irrelevant news," he said. As it is, All Things Considered is doing constant updates throughout the evening. As for Morning Edition, he added, guests are not going to come into the studio or get on the phone at 2 or 3 in the morning, so an interview can be edited after taping. The program begins airing at 5 a.m. Eastern time. Most of Morning Edition's live interviews first air in the 6 a.m. hour, which still limits the number of guests who are available. When I talked to Turpin about these concerns recently he agreed that some interviews "fall into the rote talking points category." "You get some people who come on and aren't really willing to engage beyond talking points," he said. In those cases, "we haven't booked carefully enough, or the person was not our first choice. Sometimes that fault is on us." Overall, he said, "We want to talk to the people who are making and shaping the world in which we live, not grab some random congressman." In the past, NPR more often would have turned to analysts to talk about the news; today, the approach to booking live guests is to attempt to "find the person who is really influential here." He said NPR "needs to have clarity about a story idea" when it sets up the interviews. I've argued that NPR might consider pairing interviews so that listeners at least hear consecutive points of view, instead of hoping that they hear the alternative viewpoint at some future time (or be forced to go looking online for a past interview). Turpin countered that pairing "suggests that these things exist in a binary relationship to each other." Fair enough; our political landscape is far too complex today to be contained in just two opposing viewpoints. He said NPR's aim "is to make sure we reflect a broad range of opinion on those topics." But that gets back to the question about the depth and context and nuance that listeners expect from NPR. Respectful interviews with one person rarely provide a wide range of views, either, in the way a reported piece can. Here's where I come down. We are living in an extraordinarily noisy time; misinformation and misunderstanding are rampant. Journalists should strive to cut through that noise, not add to it. When a host has to argue with a guest over a fact, it takes up precious time and distracts from the subject at hand. When a host lets a falsehood slide by (usually unintentionally because it's easy to miss something in a live interview) it adds to the pool of misinformation floating out there. The internal clocks that govern the newsmagazines are a significant factor here. The shows, and Morning Edition in particular, are under tremendous time pressure, thanks to changes in how the hours are broken up to accommodate the newscasts, reporting by local stations, promotional time and sponsor messages. Those changes were made in late 2014. The result was less time for lengthier pieces and interviews within the shows. What might, in the past, have been a seven-minute interview or reported piece is now more likely to be three-to-five minutes, barely time for sufficient context and background, let alone a satisfying conversation about a complex subject. It's also a main reason for the rude cut-offs in some interviews. Public radio leaders have been talking for several months about making changes to the clocks yet again, to alleviate some of that time pressure, but no decisions have been made. Dividing each hour between the NPR shows and the local stations is a complex matter of competing interests. I agree NPR would lose something if it did no live interviews. NPR needs to talk to politicians and other decision-makers in one-on-one interviews, and doing so in a timely manner is important. There's a value in hearing from newsmakers un-intermediated, in their own words. Some guests also won't agree to be interviewed unless it is live, precisely because they don't want to be edited. Moreover, the interviews are an opportunity to hold decision-makers accountable, which is what journalists are supposed to do. Occasionally something a politician says in an interview makes news, as in this interview and this one. So I don't think NPR should end live interviews altogether. Turpin is right about the news cycle and for the fastest-moving stories there's little value in doing a deep reported piece on a subject after the initial news event has been overtaken by subsequent events. But many issues do not disappear overnight and remain ripe for thoughtful reports long after an initial news event; the current debates over guns in schools or the economic impact of tariffs, are examples. Both were covered extensively by NPR using the live interview format. In my opinion, the newsroom needs to be much more judicious about which interviews to do live and who should be interviewed that way. In essence, editors and producers should think hard about what each such interview is adding to the conversation and the listeners' knowledge about important current events. Changing up the mix would seemingly go a long way toward addressing the many listener concerns of recent months.